Welcome to our Grade 4 class website. We will use this site to let parents know about our routines and provide links. The individual subject pages will have information and links about what we are covering in each area. Hi, I'm Mrs. Cathcart, and I love to teach! I have been teaching since 1992. Over the years, I have taught classes from Kindergarten to Grade 6 and have been a Literacy Coach and a Math Coach. I believe that an engaging classroom that meets the individual learning needs of all is the key to allowing every student to succeed. I love to travel and have been lucky enough to visit 9 provinces and 49 states. I have also enjoyed travelling to Europe and can't wait to go back. I am a big fan of the Toronto Blue Jays, and love seeing them play in Toronto. I also enjoy Sunday afternoons watching NFL football in the fall and winter. I have two adult daughters who I love to visit. One lives in Florida and one in Toronto, so visiting often involves some travelling. Barrie, Ontario is a fast-growing city of over 187,000 people located about 90km north of Toronto. We are the 21st largest city in Canada. We have a beautiful lakeshore with lots of room for playing and walking. The Spirit Catcher sculpture, which is pictured at the top of this page, is a popular spot for pictures and a meeting place on the shore of Kempenfelt Bay in downtown Barrie. 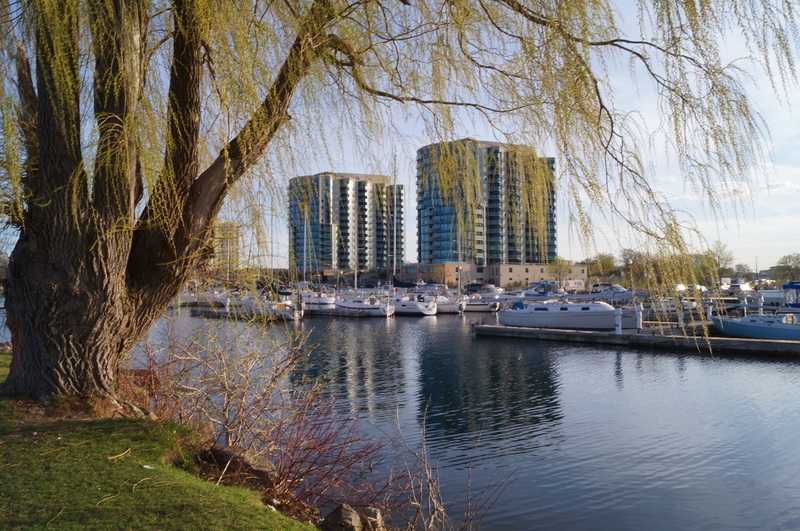 A view of Barrie's beautiful lakefront marina.